Have you spotted superstar musician Gordon Sumner popping into a Battersea High Street newsagent to pick up a morning paper yet? What do you mean you've never heard of Mr Sumner? Okay, his stage name is Sting...see, we knew you were aware of his work. Now why on earth would we set eyes on the global rock icon -- former frontman of mega-band The Police -- in Battersea, is no doubt your quizzical response. Well, we can explain. You see it is entirely possible that you may bump into Sting (don't crowd him, folks, you may well get a chorus of "Don't Stand So Close to Me") given that he has just moved into the area. Yes, that's right: Sting, THE Sting, lives in Battersea. The singer, along with his movie producer wife Trudie Styler, has recently moved in to a pad in the Battersea Power Station development and in an instant, he has helped raise the profile of our South West London idyll. It's not a random purchase from the man with an estimated personal fortune in the region of £300million. He bought his home in 2014 and recently sold his huge New York apartment -- sold for an eye-watering £37million, having bought in 2008 for £20million -- before switching to London. 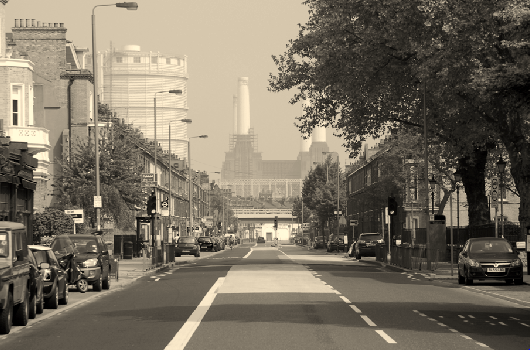 Back then, he explained that the "austere beauty" of the power station prompted him to purchase an apartment in the transformed power station designed in 1930 (opened three years later) by Sir Giles Gilbert Scott and J. Theo Halliday. He cited the development as a "great solution for the regeneration of an iconic London landmark which has been in decay for the last 30 years". Sting added: “I have been an English Man in NYC for most of my life. But Trudie and myself, we visited Battersea Power Station and I have never been that close. I found it to have a kind of austere beauty and bought an apartment. It seems to have been love at first sight. Of course, it is a fair assumption that Sting's old pal Bob Geldof, a long-time Battersea resident, may have been an influence in the former's choice of location for his new London home. But rumours of an upcoming musical collaboration between the two 60-somethings at South West Four weekender in later August at Clapham Common are considerably wide of the mark (at least we hope they are)!